The American black duck (Anas rubripes) belongs to the family of ducks, geese and swans, the Anatidae. The American black duck species is distributed in USA, Canada, Mexico, Puerto Rico (USA) and Bermuda (UK). These duck species interbreed extensively with the mallards. These ducks are monotypic species. The American black duck (Anas rubripes) is a large duck, measuring 50 to 60 cm in length and weighing 800 to 1800 grams. The wingspan is 85 to 95 cm. The American black duck has overall brownish gray plumage. The face, cheeks, neck and throat are paler and streaked brown. The crown is darker. There is a dark lore passing through the eyes to meet at the nape. The bill is flattened, broad and grayish-greenish yellow. The irises are dark brown. The legs and feet are reddish and the toes are webbed. The call of these species is a very loud, noisy quacking sound. These American black duck species are distributed in USA, Canada, Mexico, Puerto Rico (USA) and Bermuda (UK). Vagrant ducks have been recorded in United Kingdom, Ireland, Denmark, Sweden, Spain, Norway, Portugal, Bahamas and Morocco. 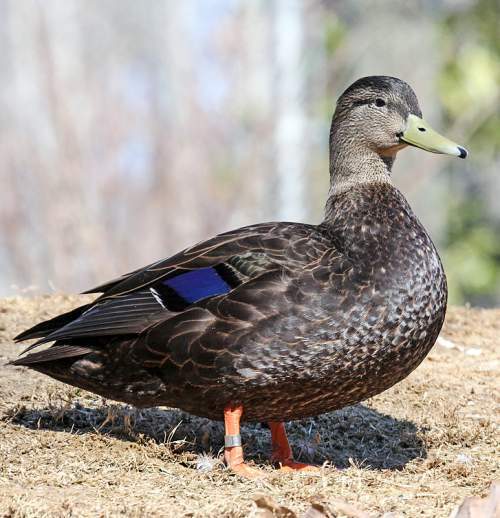 The Important Bird and Biodiversity Areas (IBA) of these American black duck species in USA are, Southern Dorchester County, Delaware Bayshore Region, Montezuma Wetlands Complex and Lake Mattamuskeet. Some of the IBA of these American black duck species in Canada are, Wildwood Gull Roost, Northeast James Bay, Marais de Gros-Cacouna, Cap Tourmente, Nicolet et Baie-du-Fèbvre and Marais de la baie de L'Isle-Verte. These American black duck species have low forest dependence. They normally occur in altitudes from 0 to 200 meters. The natural ecosystems and habitats of these species include coastal lakes, freshwater lakes, wetlands, marshes, swamps, peatlands, mud flats, estuaries and shallow waters with macroalgal growth. The diet of these American black duck species consists mainly of plant matter and invertebrates. A variety of seeds of wild plants, flowers, stems and invertebrates are their primary food. They forage on the floating vegetation as well as graze on the land. They also feed on insects, molluscs, snails, mussels and small fish. 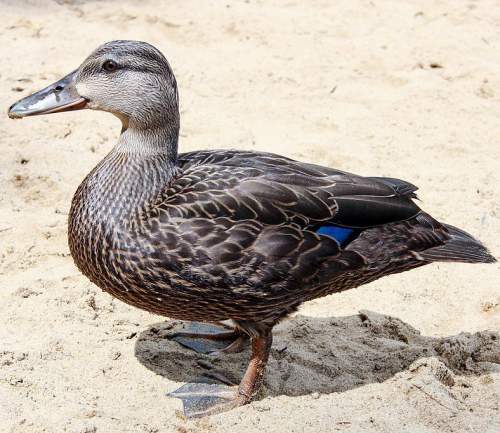 The breeding season of these American black duck species is from March to June in most of their breeding range. These species are monogamous and territorial. The nesting sites include marshes, bogs and vegetated shores of water bodies. The nest is a pile of plant matter, well-concealed on the ground. The clutch contains 6-12 oval eggs in pale shades of green and buff. 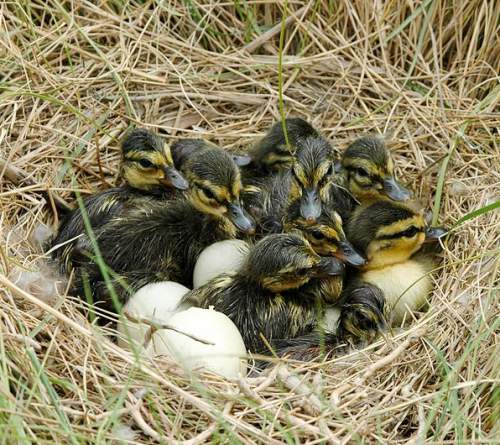 Both the American black duck parents incubate the eggs and take care of the young. The chick hatch out after 30 days and fledge after six weeks. These duck species interbreed regularly and extensively with the mallard species. These American black duck species are partially migratory birds. The breeding populations in the northernmost part of their range (Canada and extreme northeast USA) move southwards to east-central United States for wintering. Post breeding, the juveniles of resident populations may disperse and establish in new locations within the range. Within their range they may make local movements for feeding and breeding. The global population size of the American black duck (Anas rubripes) has not been quantified. The overall population trend of the species is considered to be decreasing. In most of its range, this duck species is reported as rare to uncommon. The generation length is 6.7 years. Its distribution size is about 7,030,000 sq.km. Habitat alteration, fragmentation and destruction, human intrusions and disturbance, commercial hunting and capture for pet-trade are the main threats that are endangering the survival of these species. The American black duck (Anas rubripes) does not approach the thresholds for being Vulnerable, either under the range size criterion, or under the population trend criterion or under the population size criterion. 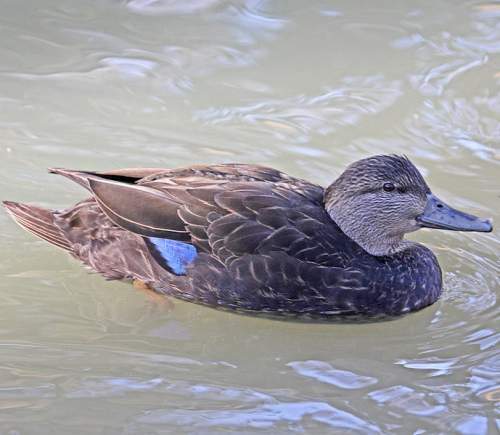 The CITES (Convention on International Trade in Endangered Species of Wild Fauna and Flora) status is ‘Not Evaluated’ for the American black duck (Anas rubripes). The American black duck (Anas rubripes) is closely related to yellow-billed duck (Anas undulata), Meller's duck (Anas melleri) and mallard (Anas platyrhynchos). 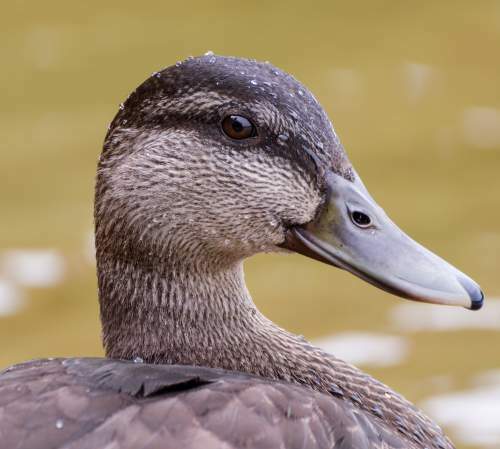 Current topic on Birds of North America: American black duck - Anas rubripes with photos.